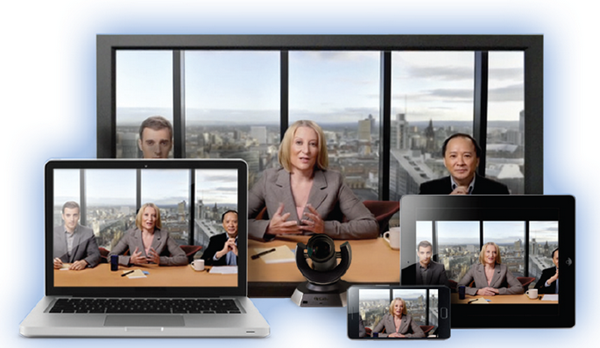 LifeSize, a division of Logitech, has recently announced its newly designed mobile and desktop video conferencing solution LifeSize UVC ClearSea. This is a very interesting launch as with this device the company is aiming to simplify the video collaboration experience which will offers the support to most of the Smartphone, tablets and desktops available in the market and mainly seems to be introduced targeting . With this device the company or organizations can experience mobile video collaboration on nearly any device with virtually no start-up cost and hence as the LifeSize is always know to be a pioneer and world leader in high-definition video collaboration, with the launch of this device the company has once again proved that why it is known as the leader in this part of the technology. The company ensured that It’s currently optimized for more than 50 devices and all mobile clients are included as standard. The main thing that distinguishes the device with other is that only LifeSize UVC ClearSea will be offering unlimited user accounts and will be providing desktop and mobile access to everyone including the company’s customers, vendors, partners and stakeholders. The company ensured that this device will provide the flexibility to the organization to choose how they want to deploy video infrastructure in their work area. The company can also select how much capacity is needed as the LifeSize UVC ClearSea being the part of the LifeSize UVC Platform, can be offered as hardware or as virtualized software. This is really very interesting and can be useful for the organization as they can quickly extend HD video calling to every worker, in every location, on every device. On the occasion of the release we have heard the Michael Helmbrecht, vice president of video solutions at LifeSize, explain about the device. He says “What we have created with LifeSize UVC ClearSea is a solution that allows organizations to experience mobile video collaboration on nearly any device with virtually no start-up cost,” and the Rich De Brino, vice president of business development and solutions at ID-Tech Solution, added “We are very excited to see LifeSize ClearSea integrated into the LifeSize UVC platform — maintaining critical features from the previous product as well as adding new features such as unlimited user accounts and integration with LifeSize UVC Multipoint for bridging and call escalation,”. With Invite-a-guest option you can extend video capabilities to those without existing video solutions in place and with ring all you can reach any user on multiple devices simultaneously ensuring important calls are never missed. It provide unmatched BYOD support with which you can choose Mac, PC or more than 50 iOS and Android devices with optimized clients. Multiparty call escalation make is easy to invite new participants to your call by clicking on a contact name (enabled with LifeSize UVC Multipoint). and can also transfer call to keep the call going even when you have to leave your office by transferring an existing call from your desktop to your mobile device. It provide Advanced call routing to create simplified dialing plans and custom routing rules to control how calls are handled. You can easily purchase it, even you can simply purchase port at a time and then add more as needs grow. It provide unlimited user accounts for everyone in the respective organization and can have up to five devices per user. LifeSize UVC ClearSea is globally available starting today, and will be having the price tag starting at $1,199 .This is really an interesting launch as with this device the organizations can empower every employee with HD video collaboration capabilities on PCs, Macs, tablets and smart phones improving the better connected relationships with customers, suppliers and employees and ensuring the high productivity without any dis-connectivity issue. Thank you very much for such wonderful article. In addition to LifeSize Video conferencing, one can even use various other video conferencing services such as Polycom, Accutel, Vidyotel etc. On premise RHUB web-video conferencing appliances can also be used for conducting webinars, web conferences, online meetings, online presentations etc.